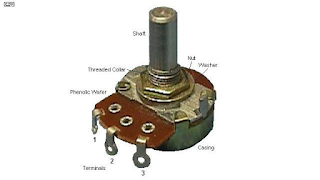 Voltage divider also known as potential divider is a passive linear circuit and is may be defined as a number of electrical resistances connected to a voltage source in series used to obtain a desired fraction of input voltage as output. It comes with taps at certain points to obtain a variable fraction of input voltage as output, frequently used to give power supplies to electronic devices. 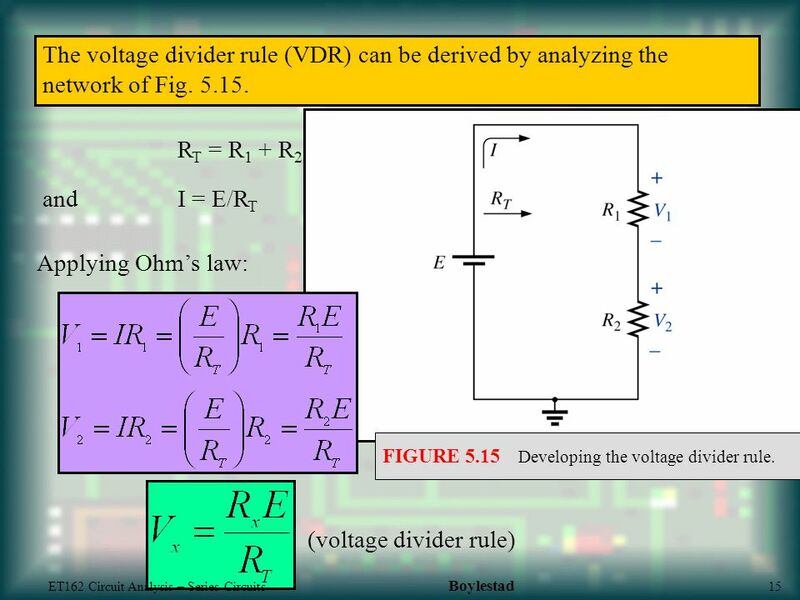 The distribution of input voltage among the different elements of the voltage divider is called voltage division. 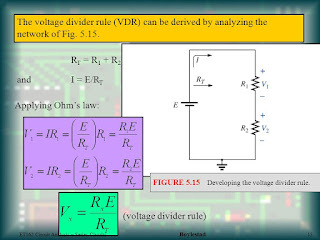 Therefore, to find the voltage over an individual resistance in series, take the total series voltage and multiply by the individual resistance over the total resistance. Voltage dividers are used for scaling of voltage levels, biasing of electronic devices and measurement of voltages. A potentiometer is a most common voltage divider which is used as a variable voltage divider in many radios to control the volume of radios. · By scaling down high voltages with the help of voltage divider, we can be able to measure high voltages by voltmeter. 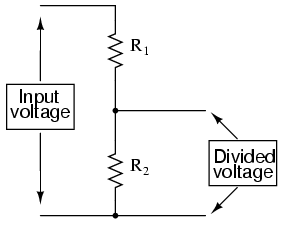 · Voltage divider can be used to measure the resistance of sensors using microcontroller.